It’s a good question, because there are hundreds of parenting books to choose from. But for me, it’s not a hard question. 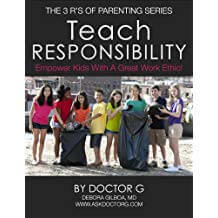 At the top of my list of favorites is Get the Behavior You Want…Without Being the Parent You Hate!” Dr. G’s Guide to Effective Parenting, by Deborah Gilboa, MD. She’s a parent, board-certified family physician, parenting speaker, and blogger who shares practical methods for raising kids. 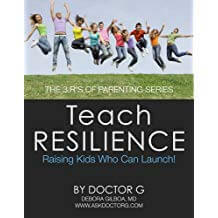 This book skips the research and theory and offers solutions to dozens of typical parenting situations. While I write for parents of adolescent children, Dr. G focuses on the challenges of nurturing children during the first dozen yeas of life. 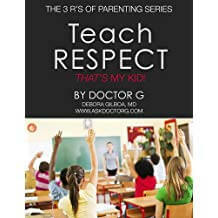 While this is a very popular book, you may not be aware of the series of brief books that address what she calls “The 3 R’s” – Resilience, Responsibility, and Respect. These “hip pocket guides” are every bit as on-target as her more famous book. Click on the cover image to check it out! For some life-changing insights about encouraging a child during the second dozen years of life, here is my new book: How Your Teen Can Grow a Smarter Brain.